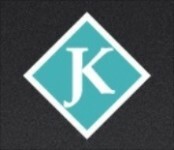 Kleiman Law is a Toronto business and small claims court law firm. We vigorously advocate for our clients from our offices in downtown and midtown Toronto. Our firm serves a diverse client base with respect to matters involving Toronto issues. We distinguish ourselves not by the size of our firm, but by our passion for client service. We strive to provide clients with exceptionally high levels of personalized service and responsiveness. Our firm is recognized for providing superior counsel and guidance to entrepreneurs, business owners and their families in a wide range of industries. As a business law and small claims court lawyer, firm founder, Jonathan is a valuable resource that you should use as soon as you sense a dispute so that you can be strategic at every step of the way. You should reason with people until they become unreasonable, and then hand the matter over to your trusted lawyer. There's no reason to lose sleep over a dispute when your lawyer can be trusted to utilize the small claims court to enforce your rights quickly and affordably.